Last year, I arrived too late to the party to fully join in with Me Made May. This year, I intend to make the most of it. MrA has bought me a couple of bits too. I don’t encourage this, but he has very good taste and it is hard to refuse. He is getting better at buying me fabric instead of clothing now though. The main pieces of RTW that are still in circulation in my wardrobe are coats and jackets. I have made a wool jacket, a waterproof jacket, a sports jacket and suit jacket, but I also own a very warm ‘Kooples’ winter coat, a trendy pleather hooded jacket from ‘Zara’ and a very nice ‘Hermes’ modern style riding jacket with a silk lining which I like to wear a lot. The Kooples & Zara I’m looking forward to replacing with handmade (I’m keeping the Hermes one!). This is part of my MMMAY17 pledge. I am not challenging myself to post daily outfit pictures but to complete more outfits! Especially coats. 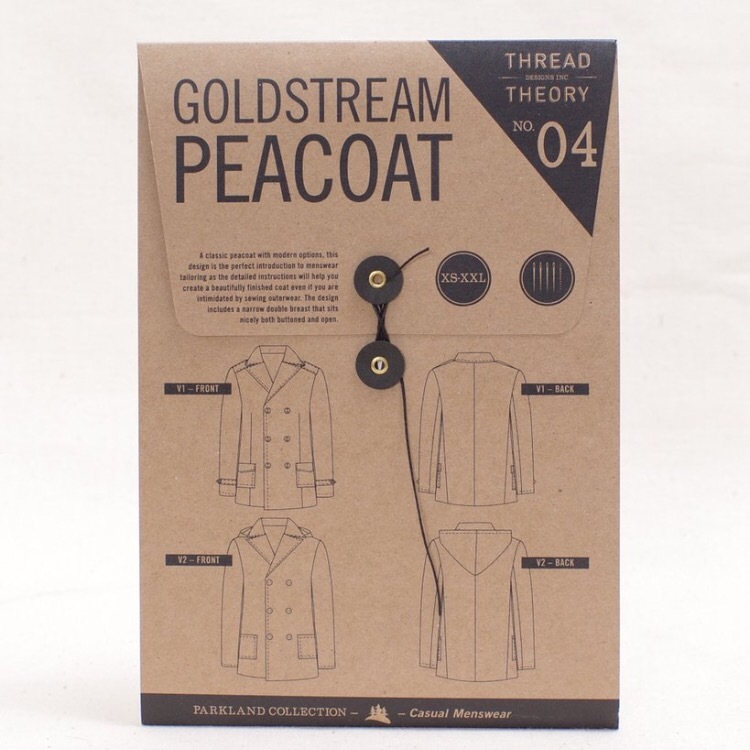 One coat in particular, the Thread Theory Goldstream Pea Coat. I’ve owned the pattern and bought my main fabric since before the winter and have got nowhere with it! This May I pledge to have made a good start on my pea coat. By this I mean to have at least made a first muslin and gathered the rest of the supplies needed to complete the finished coat. The other part of my pledge is to make more clothes that aren’t for work. Probably 80% of what I make is for work. This is good as I spend most of my time there, I want to feel comfortable and happy in my clothes. But I would like more out of work clothes to choose from. So I pledge to make more! 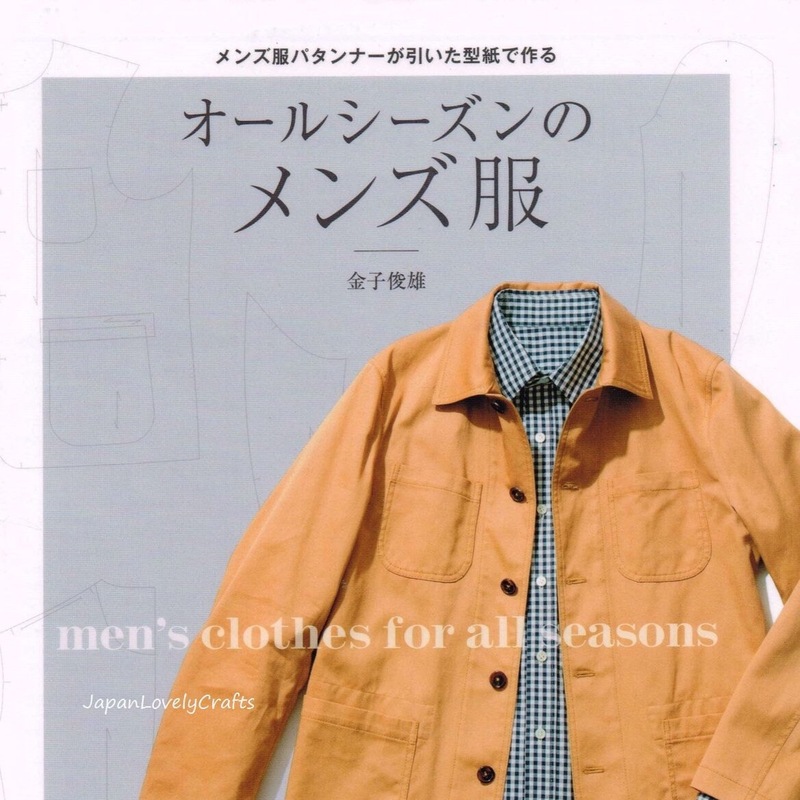 I have the patterns in mind: I’ve already had some success with some of the casual patterns from the ‘Men’s Clothes For All Seasons’ Japanese sewing book. And I have also just downloaded the Finlayson Sweater pattern as a freebie from SewSewDef Magazine. I hope to make some non work versions of that too. I’ve recently been lucky enough to be asked to contribute regularly to this new online sewing magazine. I can’t quite believe it and have to keep pinching myself, but I am very aware that ‘pride comes before a fall’ and so have been focussing on getting the job done rather than shouting my mouth off about it too much! I’m bound to write more about it soon though… if you’re interested…? So more on that another time. In the meantime, I need to gather up some colours and get sewing! Good luck with your Me Made May 17 pledges! 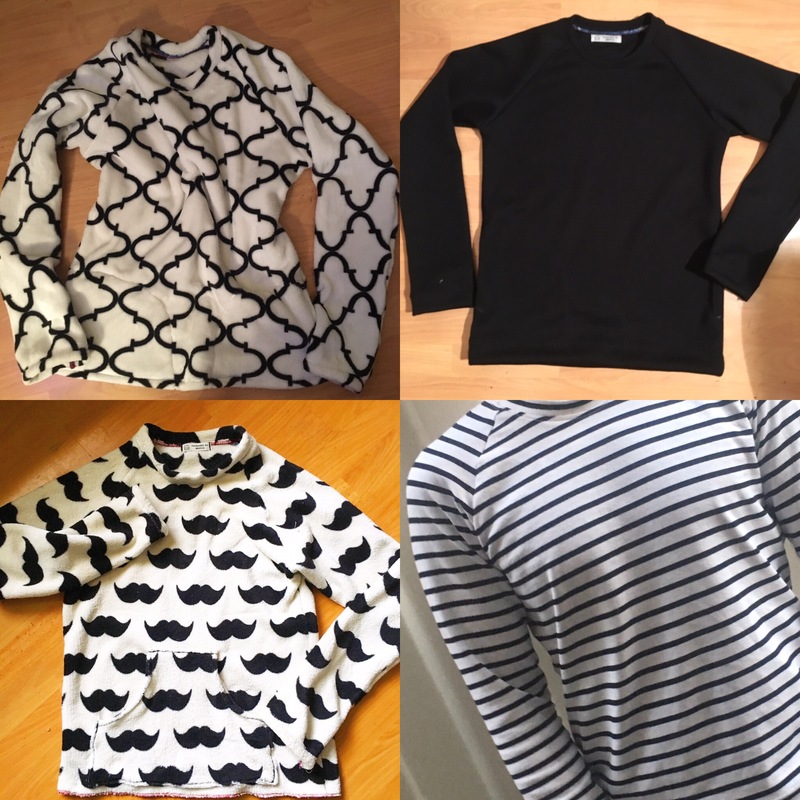 Do you sew for private clients? Also, do you have a line of clothing that you sell at stores? 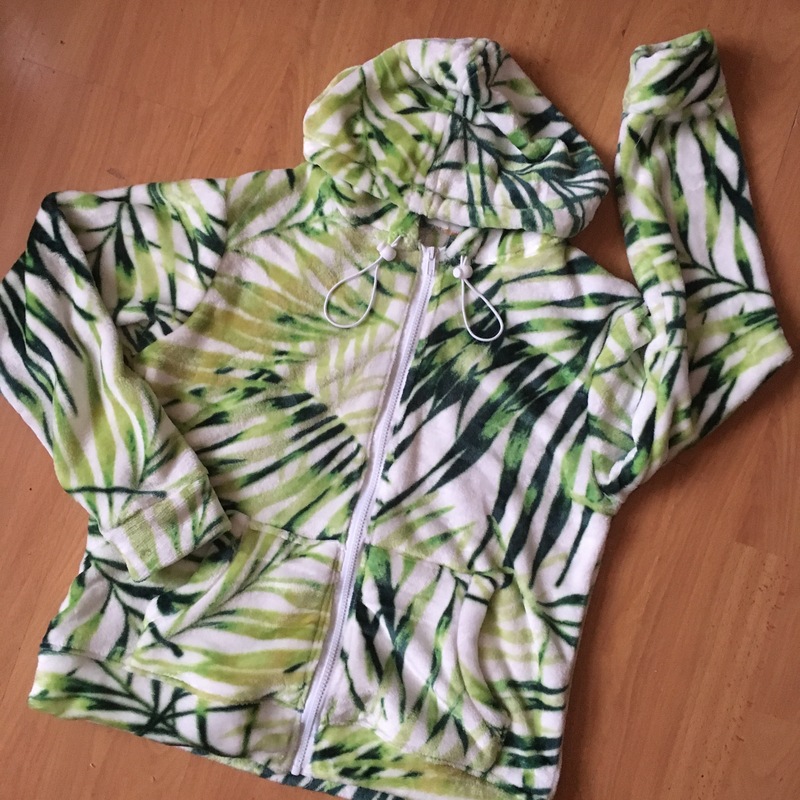 I’m nearing retirement and want to sew and make some money to supplement my income. Hi, sorry, I only sew for myself & some friends, just a hobby, no big business I’m afraid. Good luck with your retirement plans , sorry I couldn’t be more help. You are very ambitious in trying to have a complete me-made wardrobe. 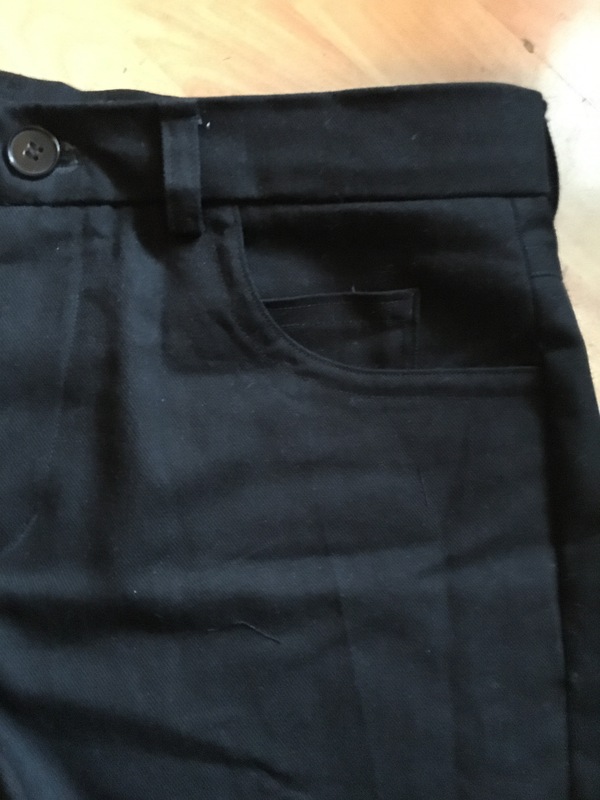 Making that Thread Theory Peacoat will be very cool (or warm if we are being literal), but maybe you could change those patch pockets to single or double welt (or jets as you Brits say) style pockets. Find google images of the original Navy (origin, not color) Peacoat, which, if I have my costume history correct, was first used in the Royal British Navy! And who makes the world’s best wool melton? That would be the British! Looking forward to seeing that Peacoat. Thank you, yes, I think I will definitely be avoiding patch pockets ! I already have my wool, I bought it on a trip through France… it’s a lovely grey melton. I’m looking forward to gathering up all the other supplies! Congrats on the Sew Sew Def gig! I hope you have an amazing experience working on the project. So far, from what I’ve seen, it does look like it has potential to be a truly awesome sewing mag. And anyone who attempts a peacoat will get all the encouragement from me. I think that is one of the most fabulous things you can sew for yourself and you will obviously learn a lot along the way. So go for it! Great coat idea! 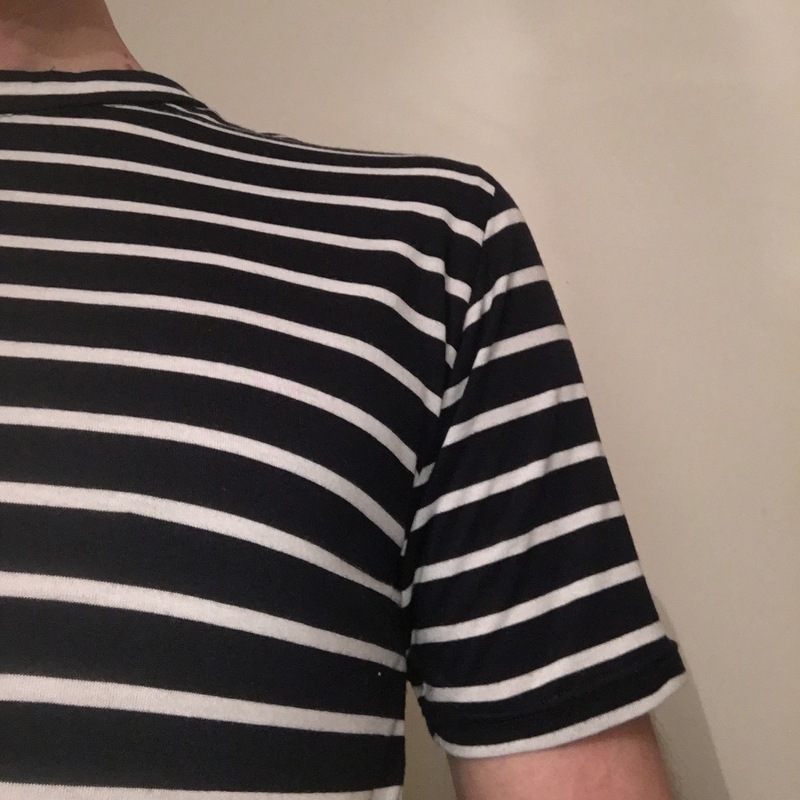 My husband has asked me to make him one (when I ever get round to finishing his shirt – ha ha!) it’s a lovely pattern and a classic coat. Congrats on the total me made everyday! Hopefully I can say the same in three years. Inspirational – and you should shout about your achievements, we love to hear about them! Thank you so much for your support, it really does mean a lot 👍🙏 . That’s me told 😂😂 I promise! !